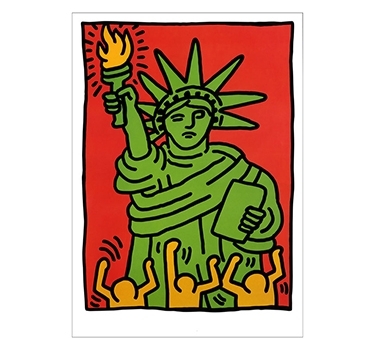 Statue of Liberty, by Keith Haring, 1986. Color screenprint. 37 5/8 x 27 1/2 in. Signed and dated ‘K. Haring 86’. This work is from an edition of 100.